Tsunami affecting people was felt in the year 2004 when tsunami triggered by Indian ocean earthquake near the Indonesian island of Sumatra struck the southern coast. Tamilnadu state was the worst affected by the tsunami in India. With time, the things have changed a lot in last 15 years. The life has come to normalcy. 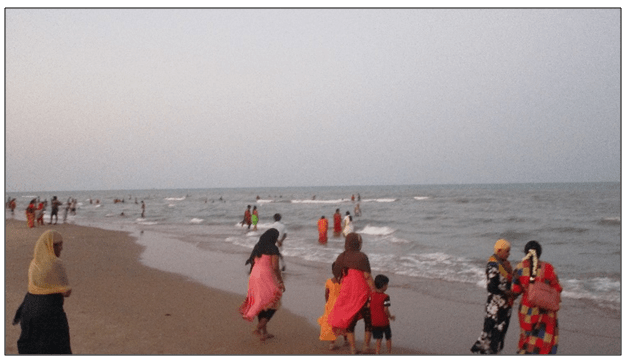 The tourist and visitors are back with the same enthusiasm to the Nagapatinnam beach. Natures power is well known to the human beings but are we realising the essence of the nature power? The natures power provides immense beauty to many areas on earth. 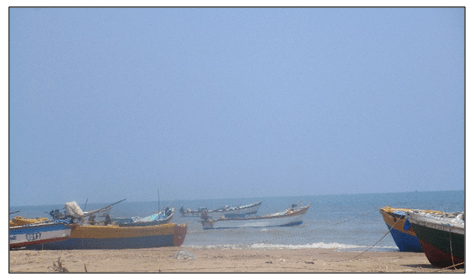 The seas shore of Nagapatinnam is one of them. The beauty was felt by the tourist and visitors well before the tsunami of 2004. Now in last 15 years people in and around Nagapatinnam are in process of understanding the significance of preserving the natures assets. Enjoying the natures gift is well accepted by human beings but whether the human being has understood the role he/she plays in preserving the natures beauty. Though the life has come back to its normalcy. The fishermen are back and busy in catching the fishes to sustain their livelihood. The boats are again ready for livelihood of many boatman. However, the time has left many marks and led to realize that Natures power can turn the environment from beauty to calamities.